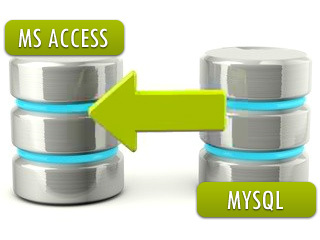 MS Access to MySQL Database Converter Software with its advanced technology securely and accurately converts the MS Access created database records into MySQL database server in easiest way. 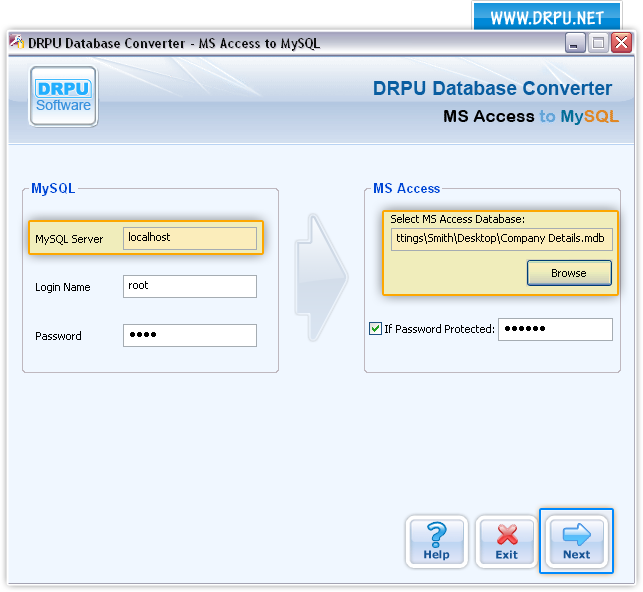 The software to convert database records is useful to migrate all database files records of MS Access including the MS Access password protected files (MDB files) into MySQL database format. The user can even overwrite the converted database (MySQL) records with existing database MS Access contents in very less time with full database constraint support that includes null value constraints, key constraints, attributes, data types accepted by all the MS Access records. ◆ Maintains database integrity while converting MS Access records into MySQL database records by opting either a particular selected table or whole database for conversion. ◆ Convert selected table or complete database records of MS Access into MySQL in few minutes with the full support of table constraints, data types and attributes. ◆ Fully support conversion of even password protected MS Access database records. Simple working and procedure of the database converter helps technical as well as non-technical users for easy operation of software in a user-friendly graphical interface. Step-by-step user manual is provided along with the tool for user’s guidance and support.